Since I moved in to my flat around 4 months ago, I have been on a one girl mission to make a house a home (well, a flat a home, but you catch my drift). After numerous misfortunes – from one landlord not paying his mortgage for the entire time I lived in his property, to my old house mate going travelling, it seems like since I left my parents house for uni 6(ish) years ago I’ve had more postcodes than Royal Mail’s distribution list. But now I am ‘settled’ in a nice little flat of my own, with no one else to rely on, apart from the landlord of course, but he’s a good ‘un this time, and it’s all about making it a home and well… ‘mine’. I’ve done everything on a pretty tight budget so far. From my new dresser unit featured in my last blog post, to loads of little DIY touches and trinkets around the place. Overall I think I’ve spent around £250 in total to make it home-like (and when it’s a unfurnished flat that’s quite the challenge!) and the major expense was my bed. It’s not until you have to buy a bed that you realise how much beds cost! Well, the mattress anyway. The look I’m going for is simple yet busy, but in a non cluttered or over bearing way. I’m attempting to keep clean colours throughout, like white and green and pastel pale shades, even with a bright red sofa it’s started to come together! You can see a little glimpse in to my flat by clicking here, and I swear I’ve said 20 times now that a flat tour will be coming soon (I promise, one day it will). My living room is pretty much done now, so now the concentration is on my bedroom. It’s got an awful dark blue carpet in it at the moment, so the best way for me to get around that is to keep light colours running throughout and get a big rug! Because the carpet is so dark I want to make everything else as light as possible. It’s an average sized room so ample space to fit in everything I need, and I even have two closet spaces in my hallway which means I don’t even need to get a wardrobe. Instead of a wardrobe I want to get a nice comfy chair to pop by the window like the one in the picture. Ever since I was a kid I’ve wanted some kind of window seat, but then I remember we’re not in America in the mid 90’s so reading nooks especially in the window aren’t that common. I love bed frames like the one pictured too, especially with fairy lights and trinkets hung around them, I used to have a bed like this and Kitty had a right lovely time playing on it like she was at wacky warehouse or something, so not only is it pretty and comfortable but also multifunctional too! I love bird cages especially as lights and if you know me then you also know green is my favourite colour, ever. 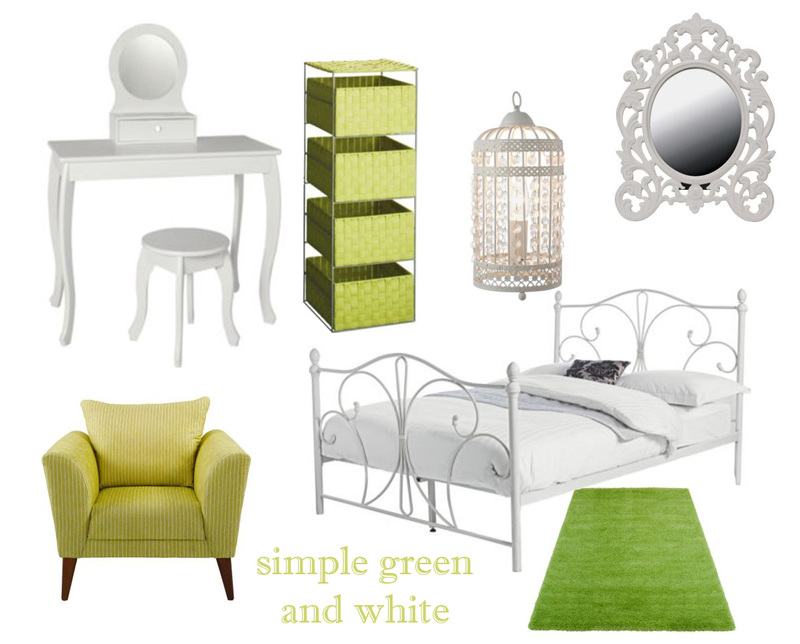 I couldn’t possibly have a dream room without there being green and bird cages. Maybe it’s just the ‘nature’ side of me coming out. The only thing that I love the look of but wouldn’t be able to have in my bedroom would be a fancy canopy over my bed, you know like a princess. I think they look dreamy and cute, but then I think about all the spiders that would live in them and cry a lot inside. And the last factor to make a bedroom a BEDROOM of course, a dressing table. I know I got my dresser/drawers recently, but isn’t it like every girls dream to have a clean, tidy space to sit at and well, just look at how good looking you are? I joke, kind of, but considering how much I don’t really used mirrors I do have quite a lot of them dotted around my flat, they’re all pretty basic so the dream is to one day have a massive baroque style one so every time I look in to it I can pretend I am a beautiful painting (when I take my contact lenses out and squint a bit, a Picasso perhaps). Previous Post Room for Improvement?